When your registration has been approved you will be able to log in using the password WE SEND YOU. You can change the password when you log in, if you wish, to something more memorable. Log-in names CAN NOT BE CHANGED. Please choose the type of registration you require from the pulldown menu on the registration form AT THE BOTTOM of this page. 1) I am a club member and wish to have access to our EXISTING listing with editorial rights so I can update the page. 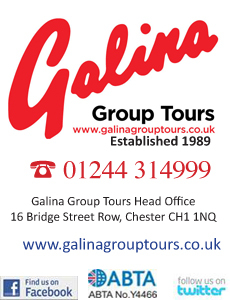 (Listings exist for those clubs who have already sent details to the magazine editor). 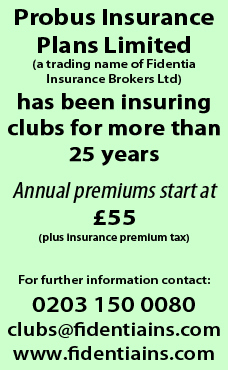 If you have been asked to look after your club’s page, and the club already has a listing, please choose this option. (To find out if you are listed look under Clubs/Register of Clubs then select your county). If you are still unsure as to whether your club is already listed please email us using the ‘Contact Us’ form giving your club’s details and we will check the current listings and let you know. We may make contact to confirm your identity before we grant access to your page. If you are a club member and have been asked to look after a page for your club, but do NOT currently appear on the Register of Clubs, please choose this option. (See above for how to check if your club is already listed). 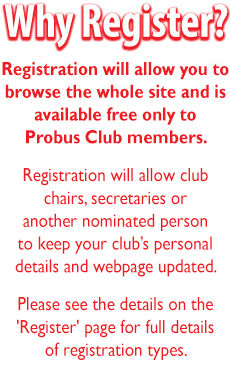 Registration for this site is restricted to Probus Club members only. The site’s administrators reserve the right to revoke the membership of any person who is not a Probus Club member or who posts comments on the site that could be deemed inappropriate or illegal.